Pop-up Beach / Camping Tent! 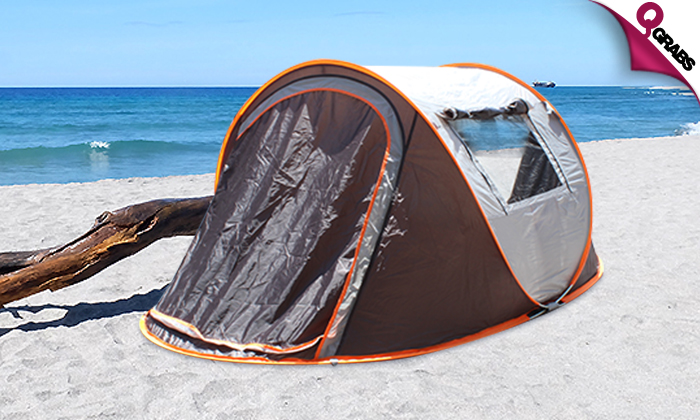 Beach & camping time just got a whole lot more fun with these portable & foldable tents. The tents come with an innovative pop-up mechanism. No assembly required. Ideal for 2 to 3 people. Can be set up & folded back within a matter of a couple of minutes. The top of the tent is double layered to protect you from the harmful rays of the sun. 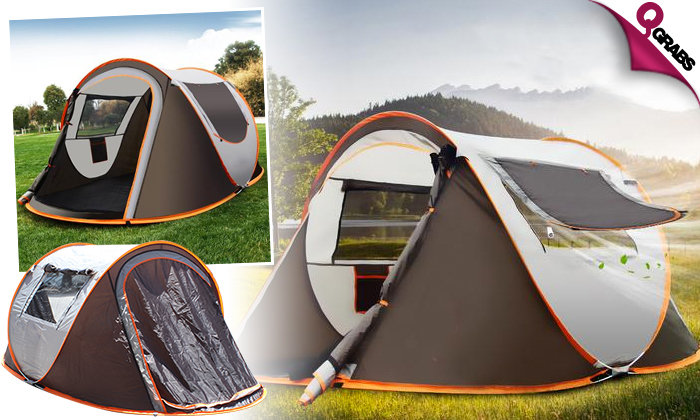 The tent is fully enclosed with a zip closure for your privacy. Comes with 2 windows with a net and 2 inner pockets to conveniently keep small objects like phone, torch, food, water etc. Ideal for using on the beach, while camping, for picnics or even for a home backyard. Comes in a convenient carry case which can easily fit in a small space. Your new fun canopy with up to 43% off!